Recently refurbished, the Standard 4 Sleeper chalet is ideal for a family. This chalet has a bedroom with a double bed and a set of bunk beds in the spacious living area. The bunk beds can be separated and be used as two free standing single beds. Kitchen is fully equipped for self-catering and the bathroom has a shower and basin, with a separate toilet. The private Braai area, with free firewood is situated on the banks of the river. 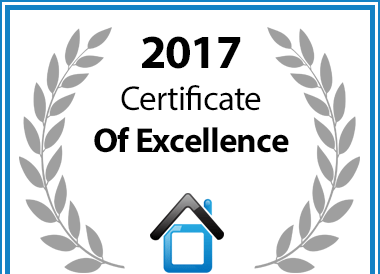 Sabi Star Chalets in Sabie is hereby awarded a Certificate of Excellence in recognition of exceptional service. 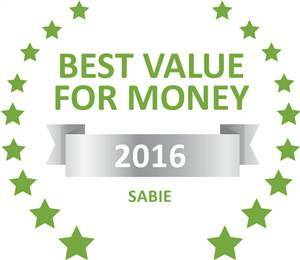 Based on reviews of establishments, Sabi Star Chalets has been voted Best Value for Money in Sabie for 2016. Be the first to hear about special offers and exclusive deals!